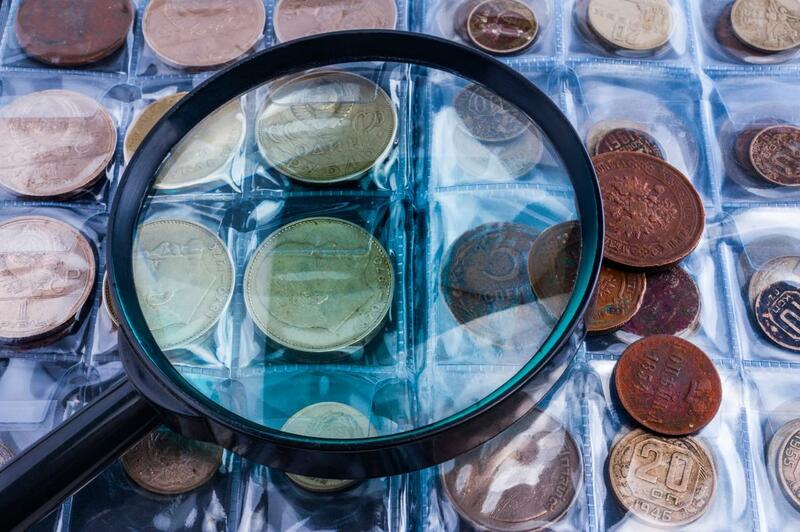 Coins have a rich history, making collecting a rewarding hobby. Learn interesting facts about the history behind rare coins. Most Americans have Jefferson nickels in their spare change or under their couch cushions. Even if the vast majority of our purchases are done through electronic means these days, the nickel remain ubiquitous. We are all familiar with it and have made hundreds or thousands of purchases using a Jefferson nickel. What is the history and value of this popular coin? 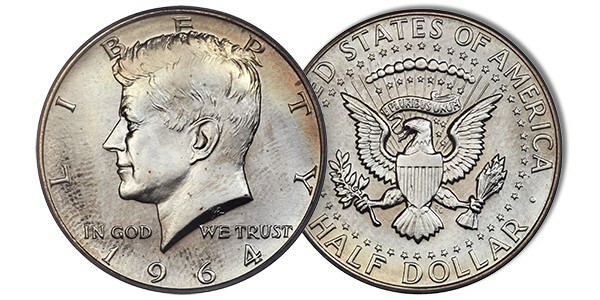 The Kennedy half dollar is a very popular collectible coin that has both sentimental value for many Americans as well as numismatic value for coin collectors. Why is this coin worth seeking out? Which ones are the most valuable? We will answer those questions here. When John F. Kennedy was elected President of the United States in 1960, he was the youngest man to ever hold that office, and many saw in him hope for the future of the country. The war years were over, the economy was booming, and the future seemed bright. When Kennedy was assassinated in Dallas, Texas on November 22, 1963, the nation was shocked and mourned him deeply. It was a pivotal moment in our nation’s history. Generations of people still can say where they were when they heard Kennedy was shot. An outpouring of grief resulted from this tragedy. One tangible symbol of that grief was the Kennedy half dollar. One of the underlying traits of human behavior is the tendency of people to seek out true value. This applies to crowds staking out a department store on Black Friday, and it also applies to coin collectors. People know value when they see it, and they search it out. In economics the principle of Gresham’s Law describes how the perception of true value affects which coins remain in circulation. How Much Were Judas Iscariot's 30 Pieces of Silver Worth? Judas Iscariot’s 30 pieces of silver is so well known, so infamous in history, that it’s a euphemism for betrayal in Western culture. Have you ever wondered what those 30 pieces of silver were exactly - or how much they were worth? Scholars have debated these questions for years. Let’s go through some of their ideas. One of the really wonderful things about coin collecting is that behind every coin is a story. Coins are art, coins are instruments of commerce, but above all, coins are history. In this article we’ll highlight Alexander the Great’s quest to conquer the world and how coining money helped him achieve that goal. 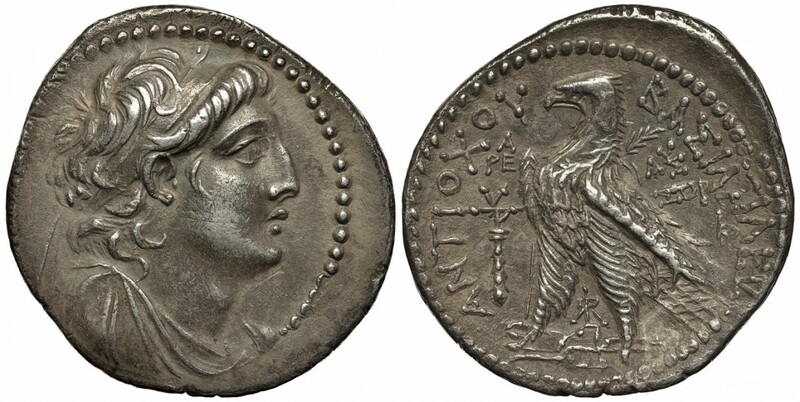 The coins that Alexander III minted would become standard currency for hundreds of years, but when his father, Philip II, died, what he inherited was not wealth, but debts. In the treasure chambers of the Macedonian crown were only 60 talents and some gold and silver objects that could be melted down. 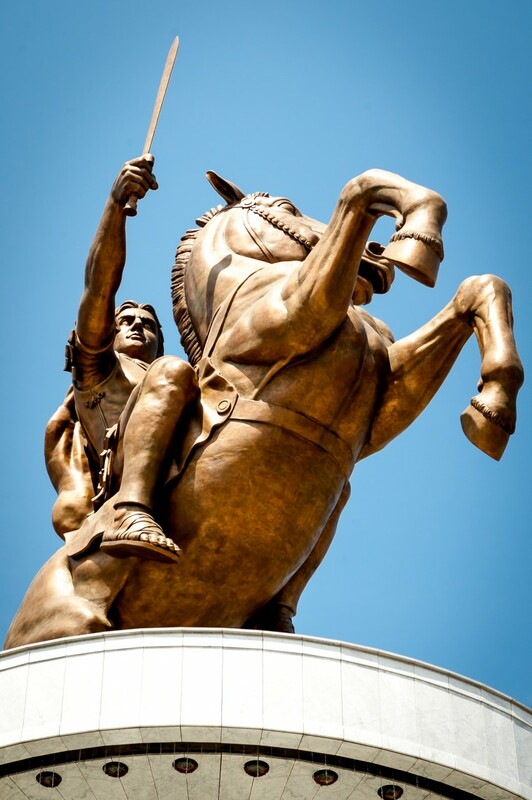 Alexander couldn’t rule Macedonia on that budget, so he borrowed money - 800 talents. He needed it to fund an army to fight off the Thracian invasion of his father’s empire. 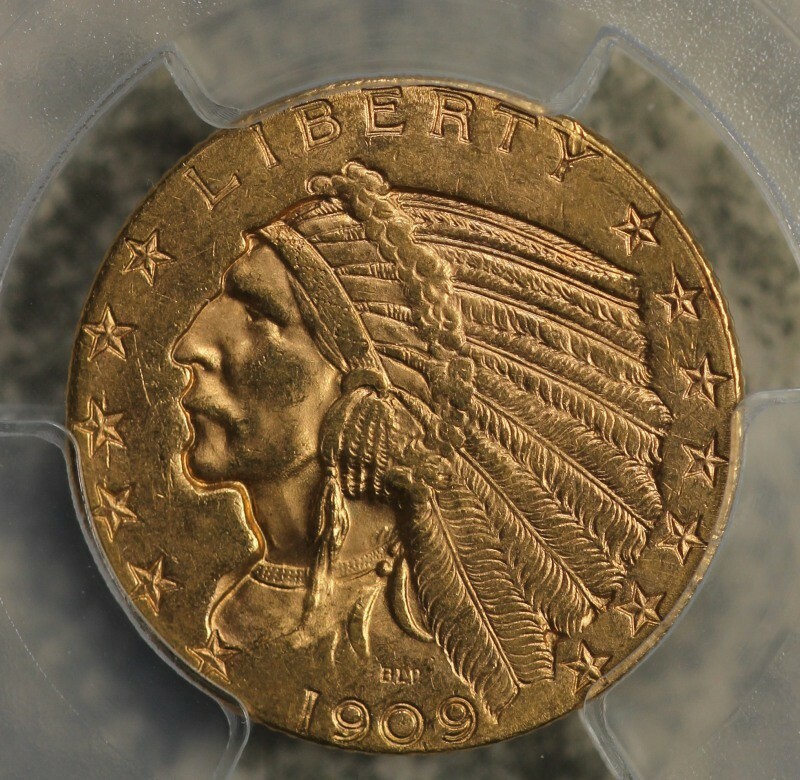 Do you have an Indian Head gold piece in your coin collection? If not, why not? 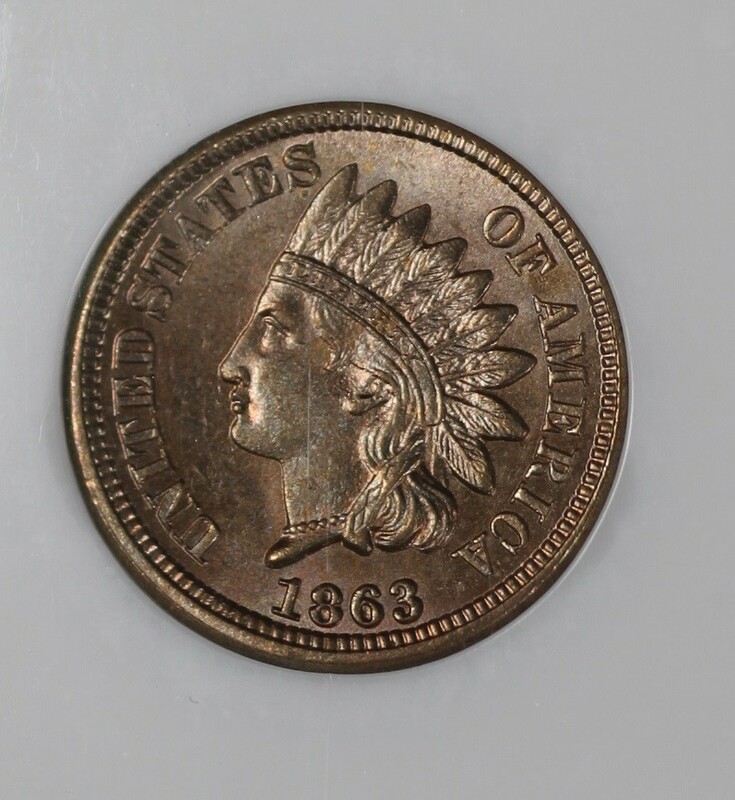 Both the half eagle and quarter eagle Indian Heads are great coins with a rare incuse design and an interesting history. What Happened to the Half Dime? Did you know that 5-cent pieces haven’t always been called nickels? During George Washington’s presidency, the half-dime was first produced as part of the American money experiment that replaced the pounds-and-shillings monetary system of Great Britain. In 1792 the Coinage Act introduced the U.S. dollar to the world. One silver dollar was worth 10 dismes or 100 cents. The dismes became known as dimes, and half dimes were also struck and became a commonly used piece of American coinage for many years. We don’t know much about the first half dismes. Legend has it that Martha Washington may have served as the model for the Lady Liberty portrait on its obverse side. George Washington himself may have supplied some of the silver for its first minting. The U.S. Mint in Philadelphia wasn’t even fully constructed at this point, and the half disme was the first American coin struck. Legend says this happened in the cellar of John Harper’s saw-maker shop. There are many things that make objects valuable. Origin, usefulness, condition, scarcity, and history all make a difference when considering value. We understand this easily when it comes to other items. For instance, a pipe may have value to someone who likes to smoke a pipe and no value to someone who doesn’t. A pipe made from rare or valuable wood might have value as a piece of artistry. The same pipe once owned by Sir Arthur Conan Doyle would be a very sought after item among Sherlock Holmes fans, and if it could be proven that Conan Doyle smoked that pipe while he wrote A Study in Scarlet that item would even more valued for the role it played in the history of an iconic fictional character. The proof that that particular pipe was owned by Conan Doyle and smoked during the writing of a specific novel would be its pedigree. It’s much the same with coins. We’ve often discussed the importance of scarcity in regard to coin value. Mint origin is also important to collectors who like to locate and purchase all variations of a certain coin. Coins that have never circulated are much more valuable than ones that have. All of these things factor into the determination of value. If a coin has a rare pedigree, this can make a large difference as well. Do you know about the Maine penny? Also known as the Goddard coin, the Maine penny isn’t a penny like the Lincoln Wheat cent but a very old coin that dates to the time of the Norwegian king, Olaf Kyrre, who reigned as King Olaf III between 1067-1093. One of the silver coins minted to honor his reign somehow found its way to the Goddard site on Naskeag Point in Maine almost a thousand years ago. It was discovered in 1957 along with some worked copper, pottery remnants, and other evidence of human habitation. The Goddard site has been dated by archeologists to 1180-1235, and historians believe the people who lived there were the ancestors of today’s Penobscot Indians. That means that this coin may have been used as metal currency in America some 500 years before the next New England silver coins, including the Pinetree shilling, were minted. What was going on that this coin could have been left behind there? As we discussed before, during the early years of the Great Depression far fewer coins were minted. 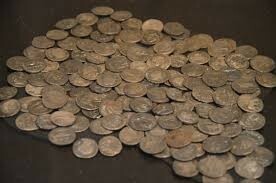 An economy in a tailspin meant that coins were circulating less and fewer people were collecting them. 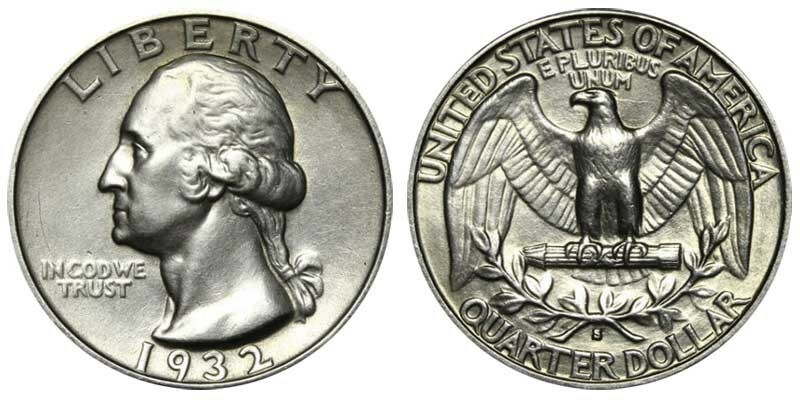 The exception to this coin dearth in those early years was the 1932 quarter dollar minted in honor of the 200th anniversary of George Washington’s birth. Originally, the Treasury Department intended to strike a half dollar, and in cooperation with the Commission of Fine Arts and the Washington Bicentennial Commission, it held a competition. Entrants were to design the obverse of this new coin using the celebrated bust of Washington sculpted by Jean Antoine Houdon as inspiration. Laura Gardin Fraser, talented artist and wife of sculptor James Earle Fraser, was a prolific medalist. 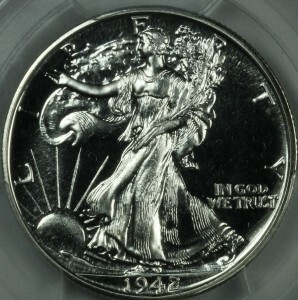 In 1932 she designed the George Washington Bicentennial medal, and she entered this contest along with 97 other people. The Commission chose her design unanimously - but the U.S. Treasury declined to use her design on the coins it produced. 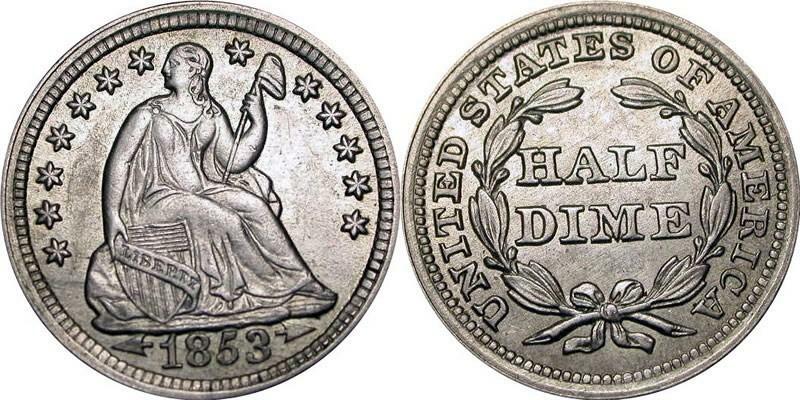 Previously we’ve talked about the scarcity of U.S. coins minted during the years of the Civil War. Collectors looking for coins from another historic period - the Great Depression - will also have to search for some of them, particularly the ones struck during the earliest years of the 1930s. What was going on during this period, and why are coins from this era harder to come by? The stock market crashed in October of 1929, and some of its effects were felt immediately. Fortunes were lost overnight, and millionaires jumped out of buildings rather than face financial ruin. For working class Americans who had not invested in the stock market, it took a little longer for this disaster to affect them, but in time the economic collapse brought them down too. Subsequent years saw unemployment at rates as high as 25 percent. Last time we discussed the origins of the 1909 Lincoln cent. This coin has been around for over a hundred years in various forms, and we’ve gotten used to seeing it in purses, on sidewalks, in cup holders in cars, and under the cushions of our couches. Have you ever wondered if any of those pennies you’ve overlooked for years are valuable? Many of them are. In fact, the most rare type of Lincoln wheat cent - the 1943-S - sold for $1 million dollars in 2012. The United States entered World War II after the Japanese attack on Pearl Harbor in December of 1941. During the war years, the availability of metals significantly decreased as they were assigned for artillery use. This meant a change in the metal composition of the coins minted, therefore in 1943 the copper cent became a zinc-plated steel penny. 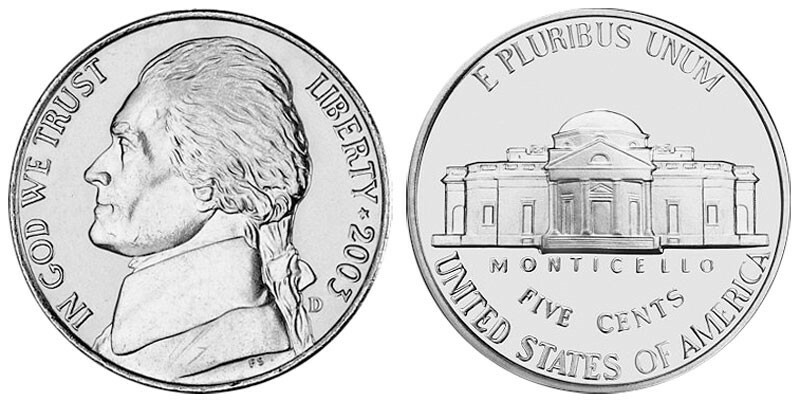 U.S. mints struck more than a billion of this new coin between the mints in Philadelphia, Denver, and San Francisco. The public didn’t particularly take to it, although coin collectors have softened on it over the years and have come to view it as a novelty. These steel cents are available for purchase very inexpensively in either circulated or uncirculated condition. The 1943 copper cent is another story. 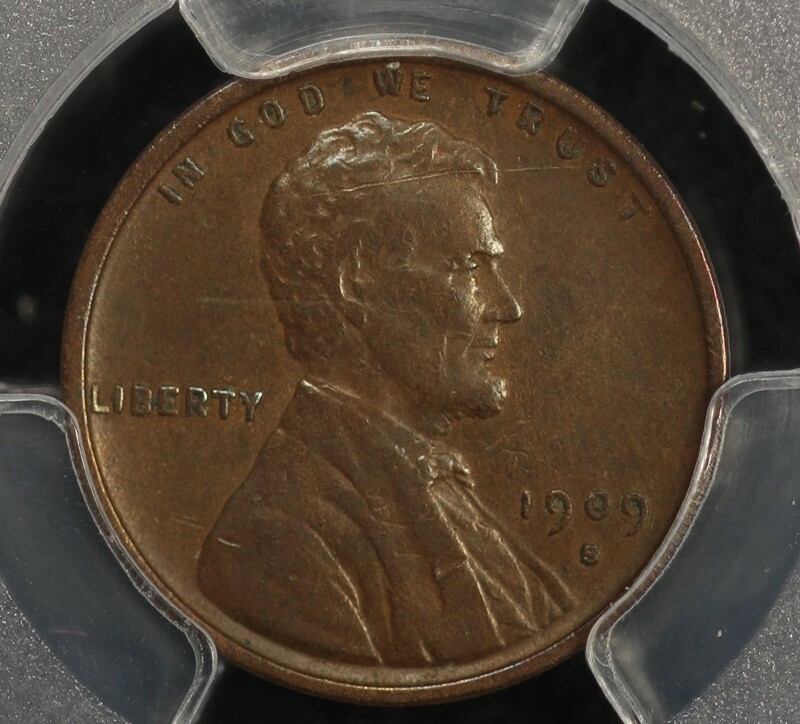 The reason that some 1943 pennies are so collectible is - as is often the case - due to a minting error. In 1943 between 30 and 40 Lincoln wheat cent coins were struck on copper planchets, likely leftover from 1942. Because of their rarity, the Philadelphia copper cents are worth more than $45,000, the San Francisco copper cents are worth $100,000, and the one known 1943-D (Denver) copper cent is likely worth more that $500,000. No question they are the most collectible U.S. cents on the coin market. Interestingly enough, the same thing happened in reverse the following year when the 1944 Lincoln wheat penny was stamped on leftover steel planchets. The U.S. Mint returned to using copper for coins in 1944, recycling metal that came from spent ammunition shells. These pennies differed from the pennies minted between 1909 and 1942 which were 95% copper and 5% zinc and tin. 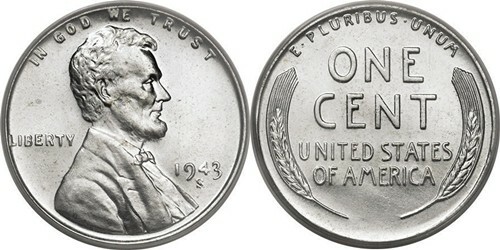 Pennies minted from 1944 to 1946 contained no tin so they were slightly different in color than the earlier version, but this is only visible in uncirculated coins now. The 1944 steel cents are worth upwards of $125,000 as well. Collectors of U.S. coins will no doubt be familiar with the many iterations of the Lincoln cent, but most of the public will go their whole lives without paying any attention to the details of this ubiquitous coin. It’s as familiar to Americans as baseball, and yet it’s completely overlooked, the story behind this everyday object unknown. Interestingly enough, the man behind this famous miniature portrait of Lincoln wasn’t American. 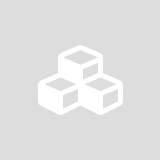 He was Victor David Brenner, but he was born Viktoras Baranauskas to a Jewish family living in Šiauliai, Lithuania - which in 1871 was a garrison town on the edge of the Russian Empire. At age 19, rather than be exiled to Siberia, he immigrated to the United States and settled in New York City. We’ve talked numerous times about how coins have historical consequence. Most are designed or minted as a commemoration of an important event or person or are the result of politicking or maneuvering by various people in power interested in maintaining their power. Another way coins have historical importance is that they can be used to date or identify people, places, or things. Recently archeologists in Kalkriese unearthed eight Roman coins that historians believe may be the key to identifying the site of Rome’s greatest defeat: the Battle of Teutoburg Forest. You may wonder how the site of Rome’s greatest defeat could have gone missing, given the importance of Rome in the ancient world and the fact that this battle was hardly obscure and went on to have far-reaching effects for Rome and greater Europe. It’s an interesting story. 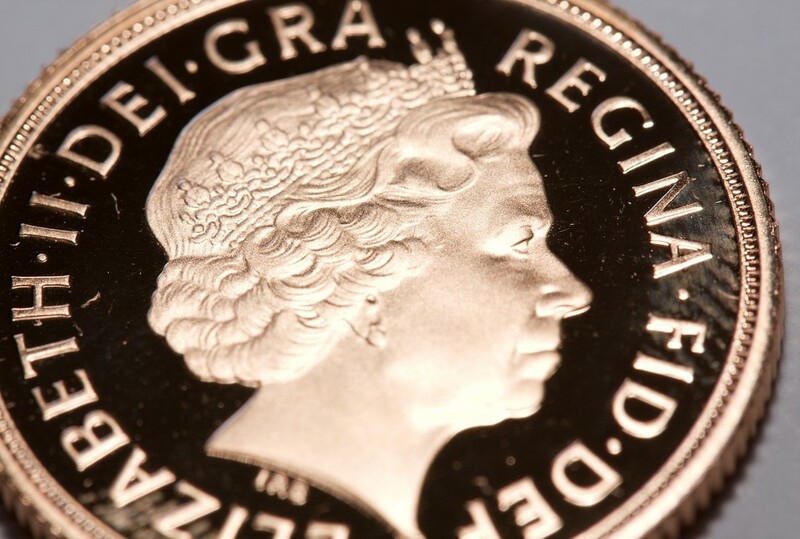 The British gold sovereign is another coin that was designed and minted as a result of a politics. People unfamiliar with the strife, plotting, unseating, and court intrigue that resulted when Henry of Bolingbroke, one grandson of Edward III, rose up and deposed Richard II, another of his grandsons, might be interested to know that the civil war depicted in the popular television show, Game of Thrones, is loosely based on the chaos of this period - the Wars of the Roses - in English history. For nearly a century, the country saw assassination attempts, imprisoned kings, secret marriages, brothers betraying brothers, and, of course, the famous missing and murdered Princes in the Tower. Most people are familiar with the idea that certain coins are valuable in terms of money. They can be bought or sold and retain value based on their condition, scarcity, and design. 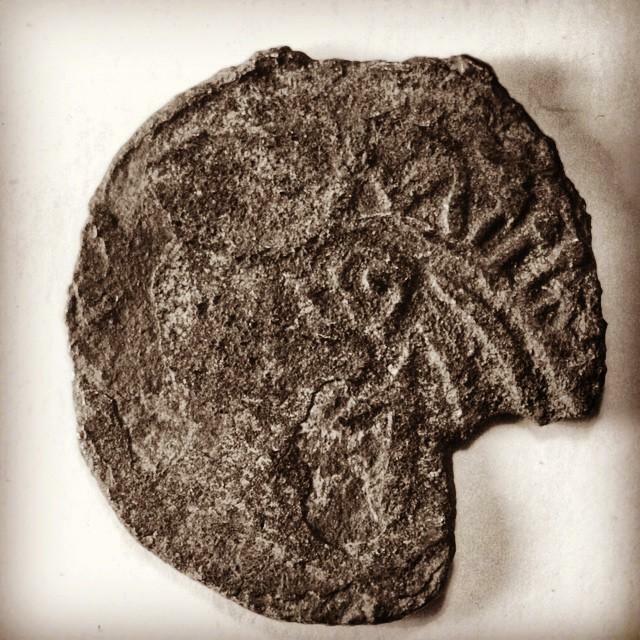 However, not as many people think about the ways that coins serve history as evidence of human activity and behavior patterns, how they can establish dates for historians or archaeologists, or what they tells us about humanity’s changing values over time. We mentioned this before when we talked about the Spanish piece of eight. 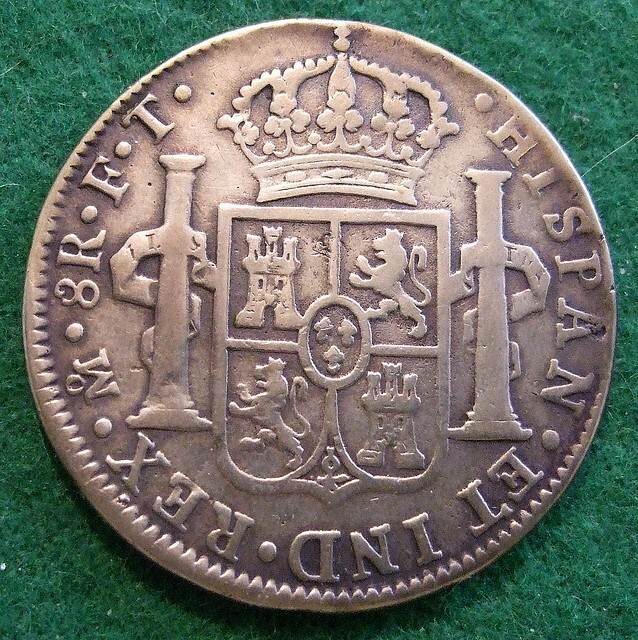 The success and breadth of influence of the Spanish empire worldwide was partly due to this coin. When they found silver riches beyond imagining in Bolivia, this elevated the status of Spain relative to other countries in Europe in the world because silver was inherently valuable. It could be used to pay soldiers to fight Spain’s wars. It could be used to trade for goods and services other countries couldn’t bargain for. It could finance further exploration. The Spanish took their silver with them in coins wherever they went, and war and commerce followed. Any time a piece of eight is discovered in a dig site far, far from Spain, it tells you more about the might and influence of the Spanish. Can you guess what the very first commemorative coin the U.S. Mint issued was and when? 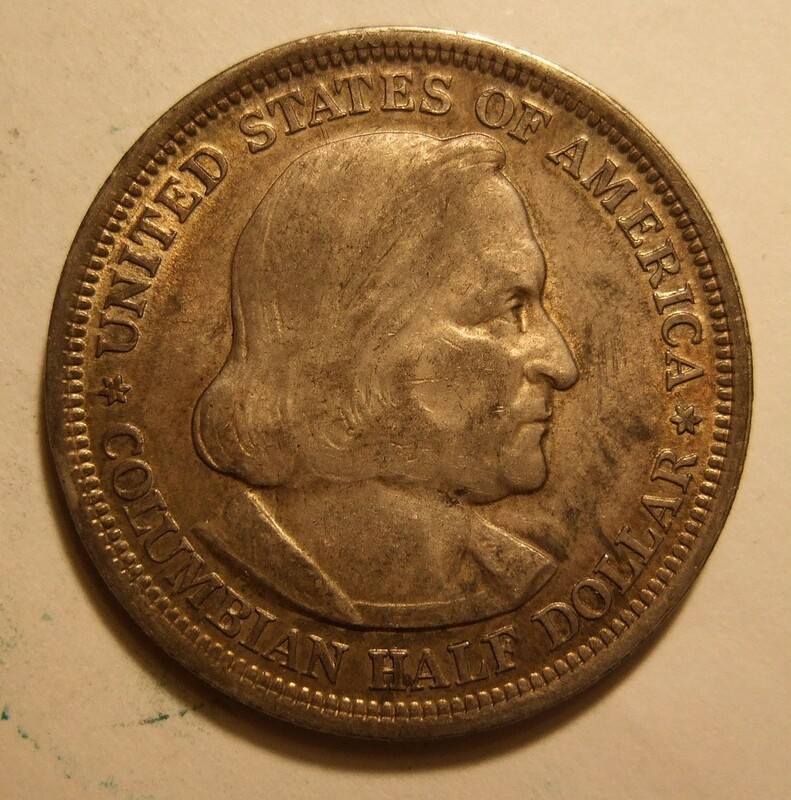 If you guessed the 1892 Columbian half dollar, you would be right. This coin was unique in American history in its historical significance, its purpose, and its appearance. Let’s examine these further. Why Aren't There More Civil War Coins? An American Civil War enthusiast who goes looking for tangible Civil War history in the form of coins might be disappointed to find out how few coins exist that relate directly to this conflict, particularly Confederate coins. This is the case for a number of reasons. The economic character and position of the North was quite different from that of the South. Northern states had far larger and more populated cities, much more industry, and a more modern economy. Comparatively, much of the South was still quite rural, and its exports - cotton being king - were raw goods. The people of the South imported most of their manufactured goods, many of which were made in the factories of the North with immigrant labor. Before the Morgan dollar, or even the pinetree shilling, metal coinage existed in the American colonies. Much of it was coinage that had been brought over with the early settlers from their home countries, but one particular coin originated in the Americas and could not, in fact, have existed as it did except for the wealth found in the New World. This is the Spanish piece of eight. If you know your American history, you’ll know that the English were not the first to explore North America. They were simply the ones who settled most of what is now the United States and Canada. Many countries in Europe were interested in finding and claiming new territories. These include France, the Netherlands, Portugal, and, of course, Spain. Previously we discussed the situation of coinage in the American colonies and how a shortage of coins led to the creation of the Pinetree Shilling by the Boston Mint. Here was a coin that came about because of necessity but was never officially accepted by the authorities in Great Britain. 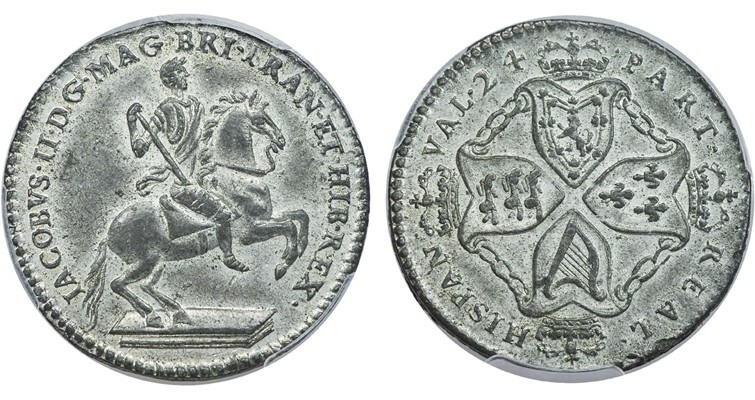 Political chaos caused by the English Civil War and its aftermath stalled any action, however, and the Pinetree Shilling continued to be minted in Massachusetts until 1682, long after Charles II became king. It was a highly useful coin. Another colonial coin had the opposite story: it was conceived of not as a practical tool, but as a way to help the tin mining industry. It had at least the pending sanction of King James II, but it was very likely never in circulation due to yet another overthrow of the English Crown. This was the American Plantation Token of 1688.